The professional "tgMember" developers and programmers team is proud to serve you. 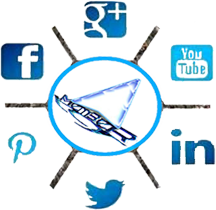 Various services, extensive advertising, in virtual networks. Increasing the members of the channel, in a completely real and guaranteed form With massive advertising. Increase your visit to your posts and ads in a completely real way. Increase the channel members with fake members. Posting pop-up ads, extensively for contacts and telegrams. Virtual server sales, (VPs) from Germany and France with different operating systems and memory. Good price, no intermediary, and direct purchase from Datacenter. Sell Virtual Number and Real SimCard Numbers from countries such as, Malaysia, Myanmar, Vietnam, Indonesia, Thailand, Russia, Australia, South Africa, Egypt and so on. Programming and manufacturing of telegram robot types in the form of CLI and API. Completely specialized and dedicated, using the latest layer of telegram. Selling a variety of software to increase the members of the channel and the group in a fake and real. Selling software to increase channel real members. Selling software to increase the views of channel posts in two mode, fake and real. Selling software for automatic and extensive advertising on the Telegram. Software to automatically receive Virtual Numbers and build telegram accounts, fully automated and in two forms model, tData and state. Software for searching and collecting telegram groups links. And various other software applications for: Telegram, Instagram, Twitter, WhatsApp, Skype, Facebook and other types of virtual networks and movie download sites and so on. And very wide and diverse service. With more than 3 years of experience and trust of people from all over the world. Addressing the core needs of our customers In fact, every customer should be able to, without need for additional costs, do advertising and marketing, for yourself and own job. No one else needs to pay for marketing and advertising their business. Very easy to can get all the software you need. And by them develop your business. And very easy you can to do marketing. And can make more profit. And you make progress. Can increase subscribers your telegram channel. Increase your post view. 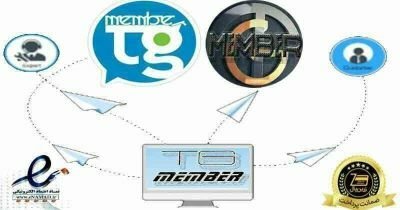 Get member's for your group. Get followers for Instagram. Get Like for facebook. Get subscribers for Youtube channel. And Etc. Auto increase vote, poll, like, click and inline keyboard. Telegram automatic virtual number generator Build and store auto number in arbitrary tData & STAT format, for all of API software. We are the best Telegram service provider. Why get service from us? what is our guarantee to you? Telegram Catalyze is an all in one Telegram marketing software. You can export members from your competitors Telegram group and add members to your group. The software channel and group members and view. Add fake members and increase fake view. Add fake member to telegram channel. Increase channel post view. Telegram Rapid Advertising Without Limit. The most professional fast-throw advertising and send bulk message software.